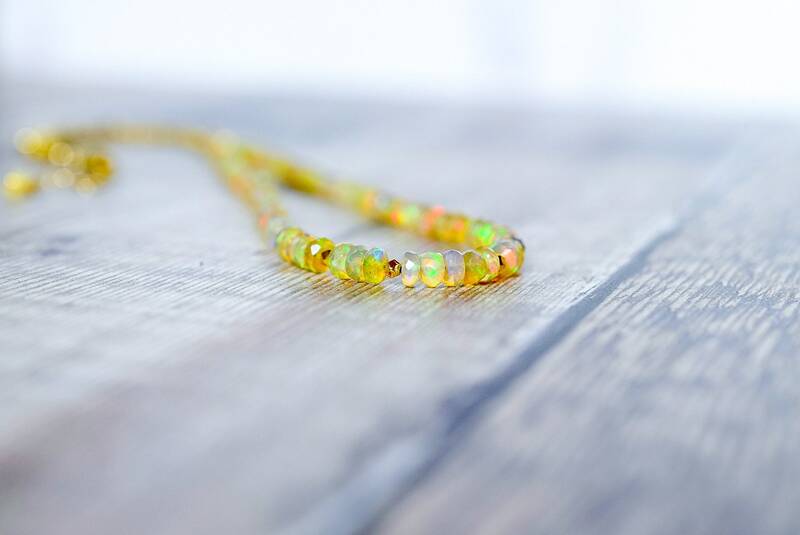 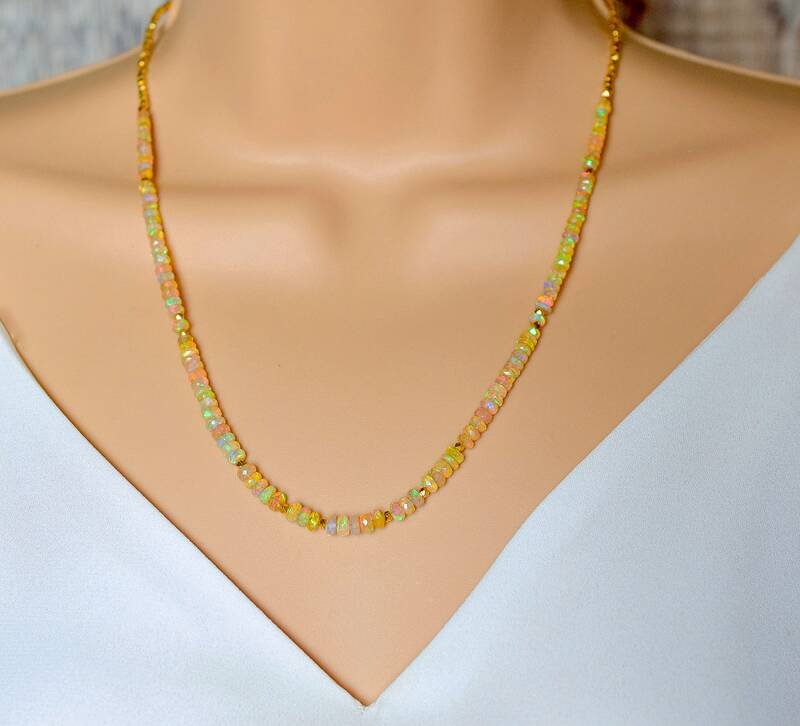 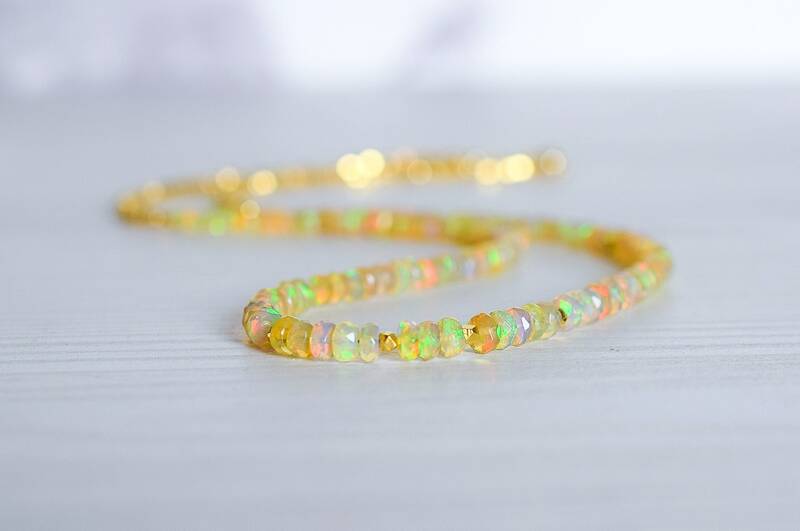 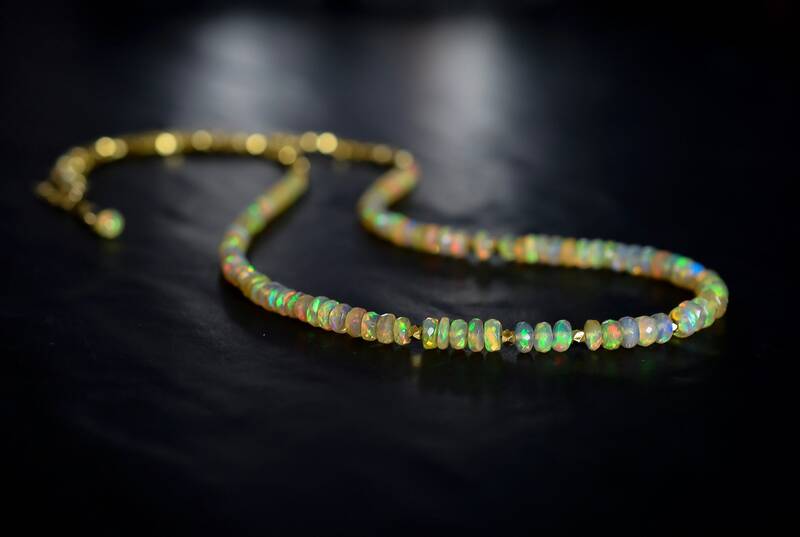 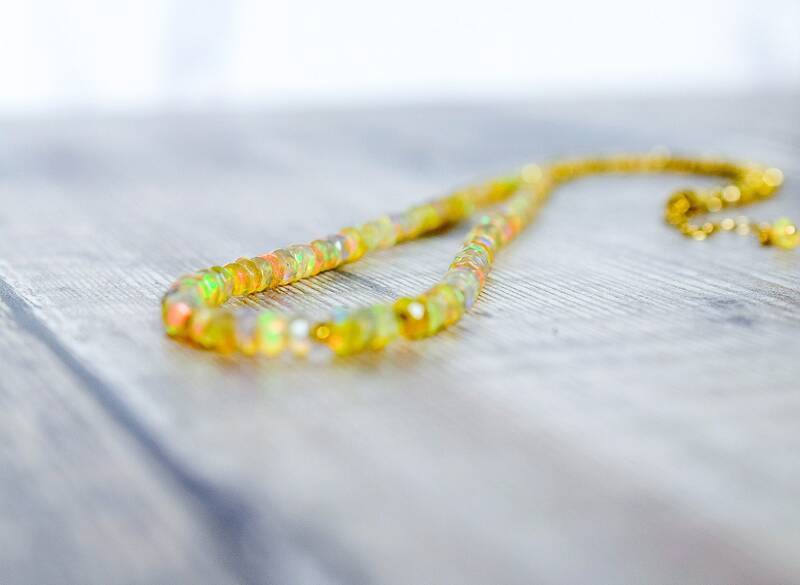 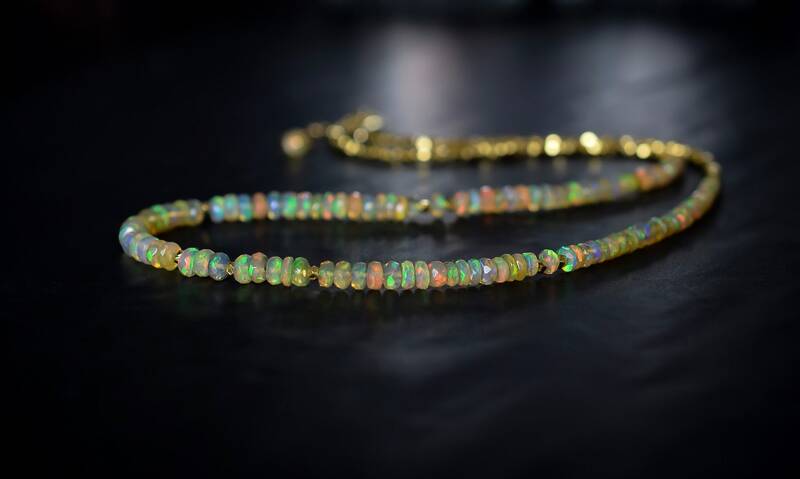 This beaded Fire Opal necklace is designed with beautiful, earth mined Opal rondelles that have incredible fire and colourful flashes. 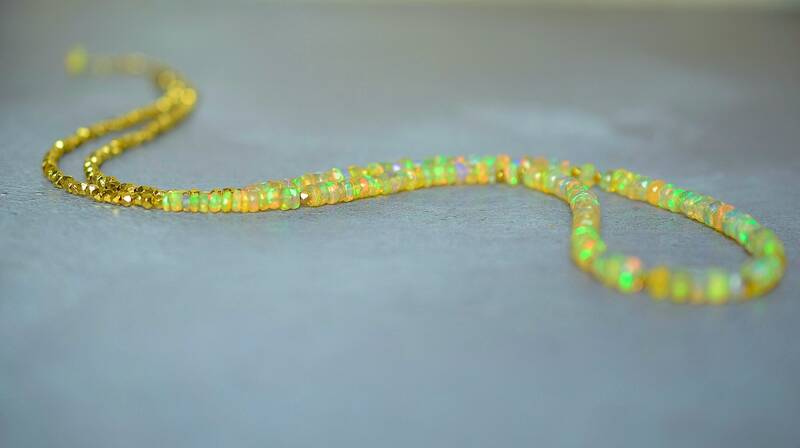 The Opals are separated with 24k Gold Vermeil faceted nugget and nuggets continue around the neck so that none of the Fire Opals are hidden! 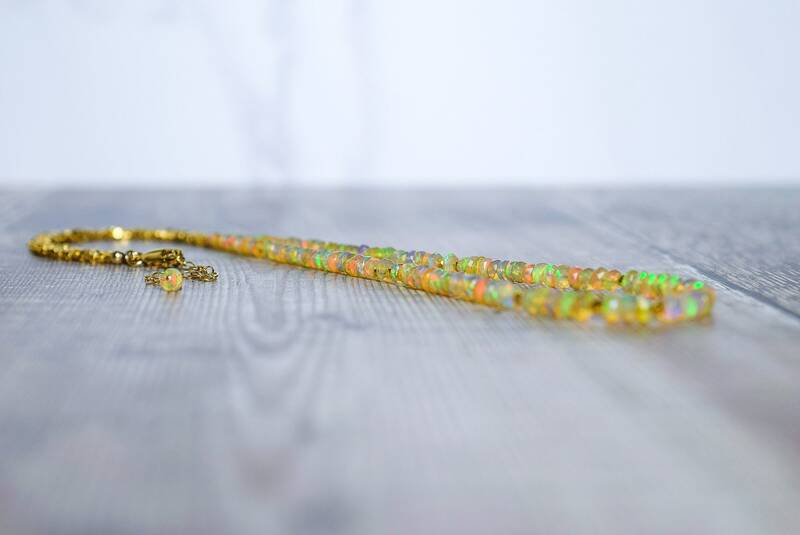 The necklace measures 20” and fastens with a 14k gold filled Lobster clasp. 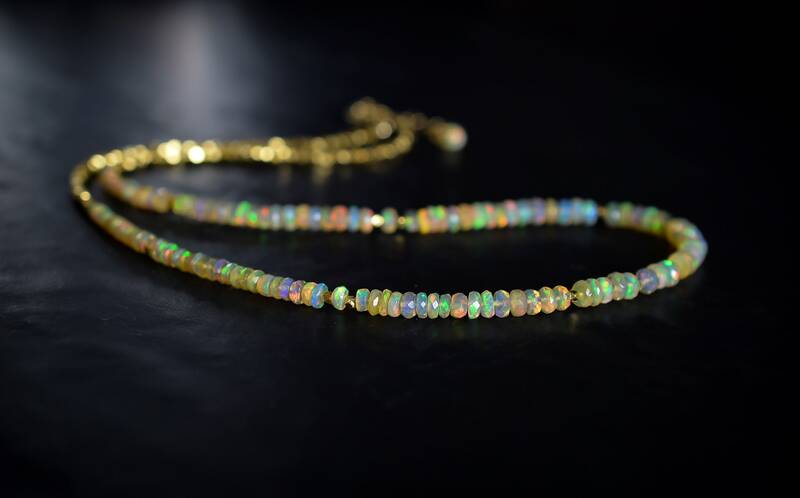 Your necklace will arrive in a beautiful Saturnalia Jewellery gift box. 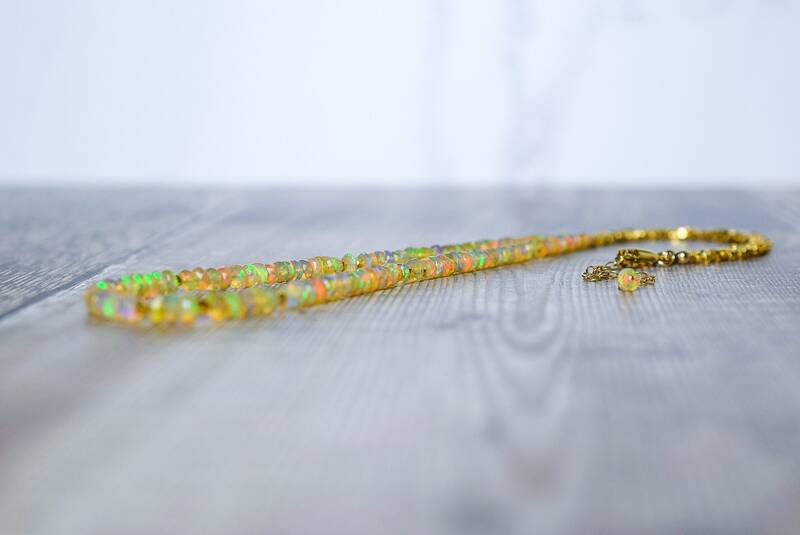 "Gold Vermeil" is sterling silver dipped in 24k gold or rose gold.